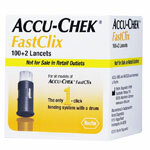 The ACCU-CHEK® FastClix lancing device is the only 1-click lancing device with a drum of 6 preloaded lancets. With 11 depth settings for maximum comfort, and minimal side-to-side motion for less skin tearing, testing is made easier. ACCU-CHEK FastClix lancet drum of 6 preloaded lancets. 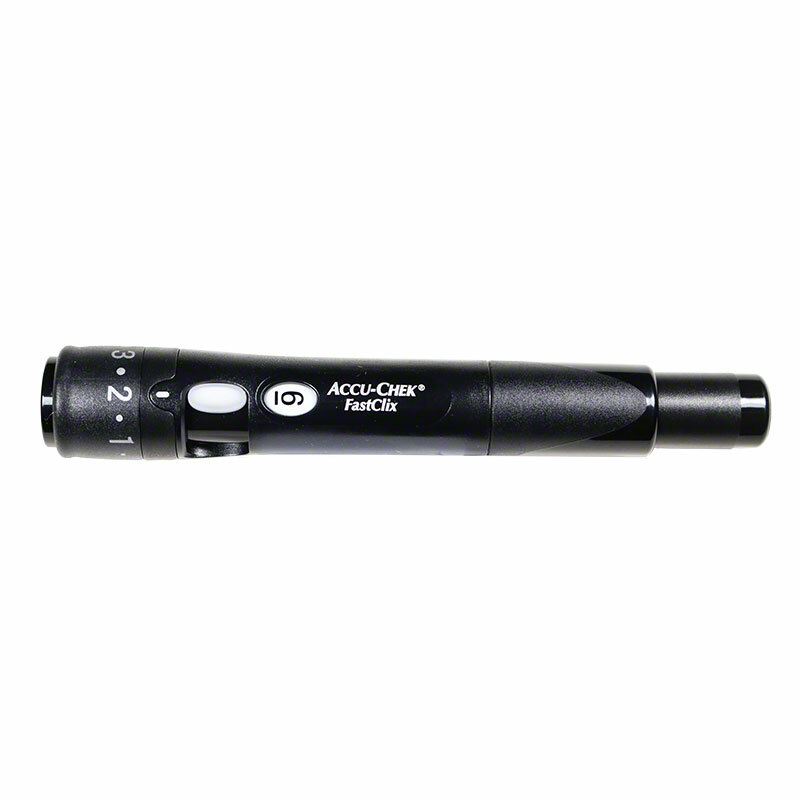 No individual lancets to see or handle, and easy to use. Just load the drum of 6 preloaded lancets and go. Personalized comfort. This lancing device’s Comfort Dial offers 11 customizable depth settings for different skin types. Precise lancets. Unique technology minimizes painful side-to-side motion and precisely manufactured, beveled 30-gauge lancets ensure smoother entry. Includes 1 preloaded drums of 6 lancets per drum.